After last week’s Famous Fancy Breakfast Friday Flop, I decided to redo the recipe at home in my own kitchen. Last week, I blamed the cracker of a pancake on maybe too much flour, or maybe not having the right pan, or maybe not having any measuring spoons or cups. I am sure that the pan had something to do with it, because I dont see how a pancake could have risen like the one above in a 13×9 pan like the one I used last week. HOWEVER, by redoing the exact recipe, I was able to find my fatal flaw. When I added the milk to the pancake shown above, I realized that I had no memory of adding milk the first time. The milk may have made a big difference in the pancake consistency. The other difference was that I whisked at my parents house, and at home I used the blender for a couple quick seconds to combine everthing. This ended up being a lot like my recipe for apple pie pancakes, with the only difference being that I usually saute the apples in the cast iron skillet and then pour the pancake batter over the apples and bake the pancake. It doesn’t rise like in the picture above, but it does puff up, and it is delicious. Jack said it was “so good” and “can I have this on my birthday?” which is basically the highest praise to which a meal can aspire. Birthday Worthy. 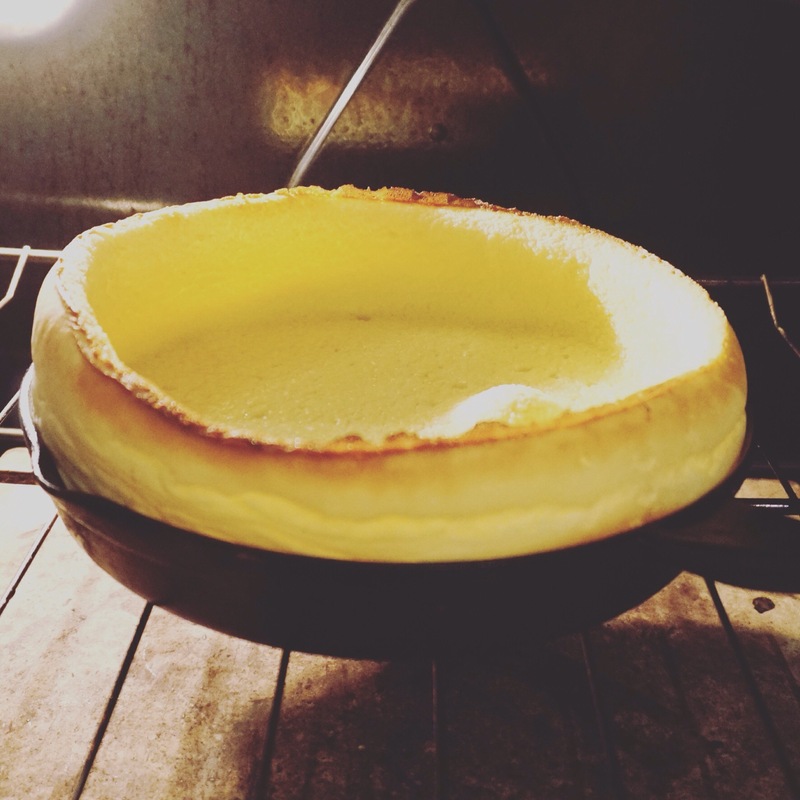 This entry was posted in food and tagged apple, breakfast, dutch baby on October 23, 2015 by metamegan.